In the wake of the Apr. 29 explosion, noted PA activist Karen Feridun (Berks Gas Truth, Pennsylvanians Against Fracking) made the following powerful statement to PA Governor Tom Wolf via Facebook: "Governor Tom Wolf, you own this now. The people of Pennsylvania have met with you. We have BEGGED you to visit impacted communities. We have tried to stop your pipeline infrastructure task force. We have asked you to address the harms Pennsylvanians have been suffering for years. We have handed you the science, more than once. [Emphasis mine] We have asked you to look at New York's example. At Maryland's example. You have ignored us. You have simply readjusted your blinders and reiterated your fantasy that you can do any of this safely, though you have not one shred of data to support your position. You only have the advice of monstrously bad, compromised advisors... You own this now..."
​Fortunately, the steady drumbeat of protest, opposition and resistance goes on as well. On May 16, Pennsylvanians Against Fracking held a rally near the explosion site in Salem Twp. to call for a halt to the dangerous pipeline build-out in the state and instead for Pennsylvania to pursue a policy of clean, renewable energy. Among the attendees, to the surprise of the organizers, were family members of the explosion's burn victim, James Baker. His mother, grandmother in a wheelchair, siblings and cousins all came out to support the protest and to speak for James. James' mother, Helen Baker, told WPXI-TV that "[James] wants everyone to know that these pipelines are dangerous and none of us want it to happen to anyone, what happened to him." In other words, Penn State has been placed in a "prestigious position" by the federal government to sell the public a bill of goods re: a "clean energy future" based on the continued use of fossil fuels. An academic institution largely discredited for its "frackademic" leanings is now being polished up to become a "trusted source" of "disseminated knowledge" on the subject of "clean fossil fuels..." This whole project wreaks. At a time when a vast majority of the world's climate scientists are telling us to leave 80% of fossil fuels in the ground, we have the Obama administration, which says it cares about climate change, initiating an expensive PR project through the Department of Energy to promote the "clean" use of fossil fuels! I hope that the truly honorable academics of this world will swiftly pounce upon this farce and denounce it fervently. SLAPP suit ruling: On May 25, Judge Michael Yeager of Butler County Court of Common Pleas dismissed the lawsuit brought by a group of natural gas leaseholders against concerned citizens of Middlesex Twp. The suit alleged that a lawsuit brought by the concerned citizens and environmental groups against the township's pro-drilling ordinance was a "sham" intended to “harass, delay and interfere with the Plaintiffs’ oil and gas contracts.” Judge Yeager ruled that the defendants had "engaged in protected activity” under the U.S. Constitution’s First Amendment protection of speech that allows individuals the right to argue against government policies. 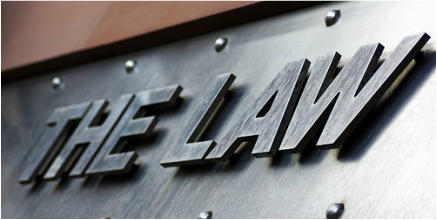 The defendants were aided by the Pennsylvania branch of the American Civil Liberties Union, which argued in court against the leaseholders’ suit on First Amendment grounds. 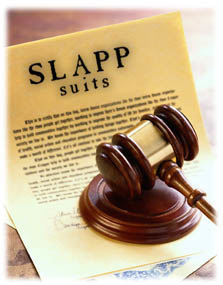 The ACLU criticized the leaseholders’ action as a “SLAPP” suit – a legal acronym standing for Strategic Lawsuit Against Public Participation – which is designed to discourage parties from filing their claims by making it expensive, time-consuming and stressful to do so, regardless of the legal merits of the case. Vic Walczak, legal director for ACLU PA, said the judge’s ruling affirms people’s rights to argue against government policy even if they don’t win the argument. The suit was dismissed “in its entirety, with prejudice,” meaning that it cannot be re-filed in Butler County court. Shell Chemical Appalachia has announced that it will build its ethane cracker plant on the site of the former Horsehead zinc smelter in Potter and Center townships, Beaver County. Main construction will start in about 18 months, with commercial production expected to begin early in the next decade, the company said in a statement. While large-scale petrochemical facilities like ethane crackers are new to western Pennsylvania, the people of southern Louisiana are quite familiar with the "thousands of pounds of carcinogens such as benzene and vinyl chloride [that] are released from [these] facilities" and the "inescapable acrid, metallic smell—the 'toxic bouquet' of pollution—and a mysterious chemical fog that seeped into their houses." Read the CNN report and the overview of the book "Diamond: A Struggle for Environmental Justice in Louisiana's Chemical Corridor." While these two reports are a bit dated (2010 and 2004, respectively), a more recent report (2014), which states that "these facilities release millions of tons of toxins into the air, water, and land each year and are responsible for high levels of cancer-causing chemicals in the air, severely polluted water, contaminated fish, and toxic leaks into groundwater," suggests that not much has changed. Let us hope that such reports will not be emanating from Beaver County in the future. The last word about the quality of Dimock PA's water came from assurances in a 2012 statement from the U.S. Environmental Protection Agency — the federal department charged with safeguarding the Americans’ drinking water. 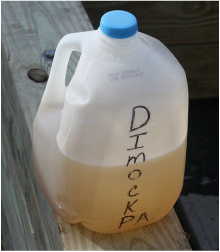 The agency declared that the water coming out of Dimock’s taps did not require emergency action, such as a federal cleanup. The agency’s stance was widely interpreted to mean the water was safe. Now another federal agency charged with protecting public health has analyzed the same set of water samples, and determined that is not the case. PA DEP's often-plodding response to water contamination complaints has left hundreds of rural Pennsylvanians in a sort of forced drought, scrambling to pay for water deliveries, seek remedies in court, take out second mortgages or even abandon their homes. PA Department of Environmental Protection Secretary John Quigley resigned on May 20, following several news reports about a controversial email he sent to environmental groups in April, criticizing their lack of support for his efforts. A month later, Quigley landed a new job as a Senior Fellow at the Kleinman Center for Energy Policy at the University of Pennsylvania’s School of Design. A series of five "frackquakes" were reported in Lawrence County in late April, in the vicinity of gas wells operated by Hilcorp Energy. Hilcorp ceased operations at said wells and the DEP is investigating. 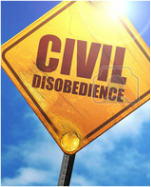 For one Pennsylvania community attempting to stop fracking wastewater injection wells, civil disobedience has become a sanctioned civic right. The Massachusetts Senate approved a bill on June 9 to place a ten-year moratorium on fracking and the disposal of fracking wastewater in the Commonwealth. “The harm caused by fracking has no place in Massachusetts,” said Senate President Pro Tempore Marc R. Pacheco. “Fracking releases harmful chemicals into our air while contaminating fresh groundwater, causing seismic events, flaring methane and severely harming public health." Although fracking is not currently happening in Massachusetts, the Hartford Shale, a rock formation under the Connecticut River Valley, may contain deposits of gas suitable for drilling. ​As methane intensifies greenhouse gas in the atmosphere – propelling average global temperatures higher toward the brink of no return – Cornell’s Robert Howarth briefed the White House’s Office of Science and Technology Policy May 27 on its dangers and solutions. ​A commentary on Howarth's research expounds upon his claims that we know what to do to solve our climate worries, but we’re on the wrong path and have only a very short time to change direction. Largely forgotten amidst all the talk about jobs, noise, taxes, pollution and terrorism is the impact the proposed natural-gas power plant would have on an ecosystem that is quickly fading from the Rhode Island landscape: contiguous forest. An El Paso Times story in April revealed the existence of numerous aerial photos of flood-related oil spills on a state-run website. The response from the state of Texas was predictable, yet still disappointing: State officials ordered the photos removed from a website operated by the University of Texas at Austin. Seven New Jersey landowners, along with two environmental groups, filed suit against the PennEast pipeline company on Tuesday for trespass. 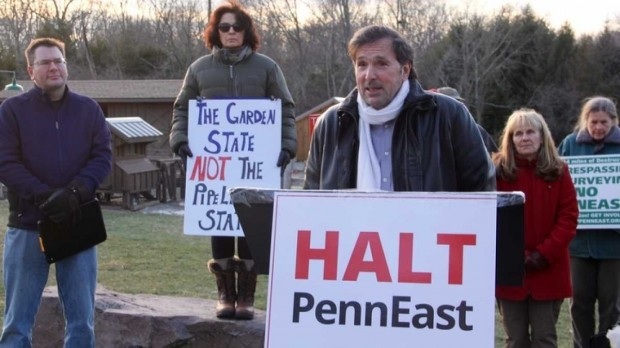 HALT PennEast, which stands for “homeowners against land taking,” along with the New Jersey Conservation Foundation and the seven residents filed suit in New Jersey Superior Court. Energy Minister Donald Arseneault says the New Brunswick government will indefinitely extend the province's moratorium on hydraulic fracturing. The G7 nations have for the first time set a deadline for the ending most fossil fuel subsidies, saying government support for coal, oil and gas should end by 2025. PA DEP on May 6 notified Range Resources-Appalachia it no longer would pursue an $8.957 million fine for alleged violations at a well in eastern Lycoming County. The news was not released to the media until May 21. The day after John Quigley resigned as secretary of PA DEP (May 21), he was shocked to read that the $8.9 million dollar fine against Range Resources had been rescinded. He insists it was the first time he'd heard of the decision, and stated to a Philadelphia Inquirer reporter: "The only person at DEP who can approve walking away from a fine was me -- and I didn’t." He added that he found the timing of the multi-million-dollar reversal of fortune, to the benefit of the politically connected energy giant, "curious," coming at the same time "there was a movement afoot to get rid of me." The Pennsylvania Legislature has let an array of new shale gas drilling regulations take effect in a deal that will cancel revised rules for the state’s traditional drilling industry, whose operations are generally smaller and shallower. Separating the standards for new power plants from those for existing plants has created a loophole in the Clean Power Plan. In a state like Pennsylvania that has gone all-in on natural gas, that’s a problem. Baierl Ford and its solar installer, Scalo Solar Solutions, didn’t know that five years ago, Zelienople adopted an unusual ordinance that placed a 5-kilowatt limit on the size of solar systems. When Baierl submitted its application to connect the 50-kilowatt solar array to the local grid earlier this year, Zelienople denied it. An argument ensued. Evidence indicating the presence of wastewaters from unconventional oil and gas production was found in surface waters and sediments near an underground injection well near Fayetteville, West Virginia, according to two recent studies by the U.S. Geological Survey, University of Missouri, and Duke University. At the request of a concerned parent and through a member of Moms Clean Air Force, the organization PSE (Physicians, Scientists and Engineers) Healthy Energy on May 13 sent a letter to the Mt. Pleasant Township (Washington County PA) Supervisors and Planning Commission regarding the "most recent" Range Resources well pad near the Fort Cherry School District campus and its potential for negative health effects on children. Read the letter here. 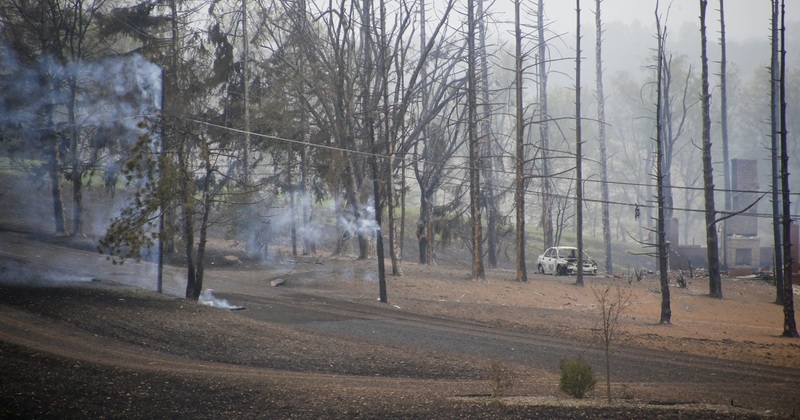 According to a study conducted by the University of North Texas and the World Health Organization: "Sensitive populations (children, pregnant women, elderly, immunocompromised) and occupational workers are at increased risk for adverse health effects from elevated atmospheric levels of benzene[s] in residential areas with unconventional shale extraction and processing." Fossil fuels represent a two-pronged attack on the health of children, a leading health scientist has warned. To foster health and well-being in future generations, society needs to dramatically decrease dependence on dirty energy. An environmental group is challenging a zoning ordinance that allows gas drilling throughout a southwest Pennsylvania township. PennFuture says the ordinance by Mount Pleasant Township in Washington County violates the right to due process under the U.S. and Pennsylvania Constitutions, and prevents residents from enjoying clean and air and water as required by the state Constitution, because it permits gas drilling in all seven zoned districts. A water testing company that worked with Range Resources to evaluate whether or not residential water supplies were contaminated is defending itself against a lawsuit that claims the company allowed the gas driller to alter a print out of the test results, which Range then submitted to the Department of Environmental Protection. A coalition of community and environmental organizations filed a federal lawsuit against the U.S. Environmental Protection Agency on May 4 calling for regulations to stop oil and gas companies from disposing and handling drilling and fracking wastes in ways that threaten public health and the environment. The shale bonanza has brought environmental headaches and raised concerns about whether the companies have disadvantaged poor people by drilling wells in low-income areas and exposing them to dust and traffic as well as air and water pollution. Believing that "shale gas is simultaneously cheap, abundant and profitable thus defying all rules of business and economics" is nothing but "magical thinking", according to Arthur Berman, an expert on US shale plays and a consultant for several E&P companies and capital groups in the energy sector. Giant craters are popping up all over the frigid tundra of northern Russia, and scientists at NOAA think that thawing permafrost, the result of unprecedented warming in the Arctic, may be the cause. Permafrost keeps vast amounts of methane bottled up, and as it thaws, pressurized methane is released, causing the ground to explode. An upsurge in new wind, solar and hydro plants and capacity saw renewable energy smash global records last year, according to a report on new supply. 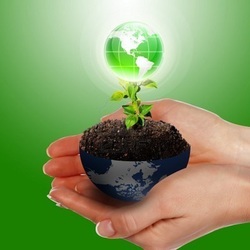 Clean energy investment increased to $286bn, with solar energy accounting for 56% of the total and wind power for 38%. Overall, more than twice as much money was spent on renewables than on coal and gas-fired power generation ($130bn in 2015), the REN21 global status report found. Pennsylvanians Against Fracking will be at the March for a Clean Energy Revolution on July 24 in Philadelphia, the day before the opening of the Democratic National Convention in that city. "With the eyes of the world focused on the DNC, we will take the opportunity the Democratic Convention presents to demand that our political leaders lead the nation away from climate destroying fossil fuel energy towards the only future we can live with, a clean energy future." Read MOB member Diane Sipe's blog here. Funding for North America’s first offshore freshwater wind project was awarded to Lake Erie Energy Development Co (LEEDCo) for its “Icebreaker” project, which consists of six 3.45-megawatt turbines located 8-10 miles off the coast of Cleveland. 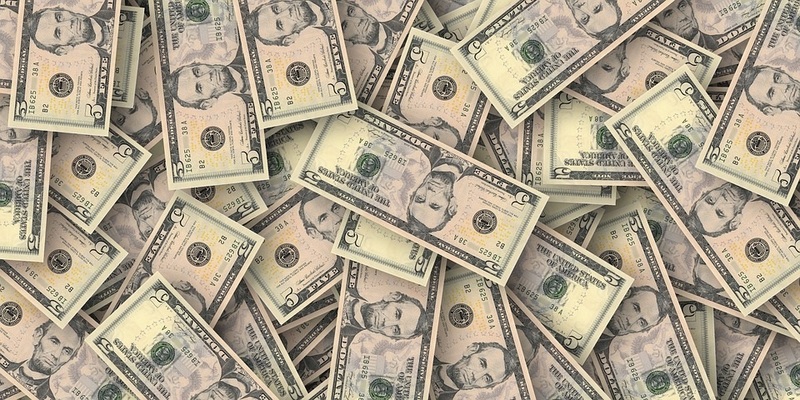 The project has received $40 million from the U.S. Department of Energy (DOE). May was a good month for clean energy in Europe. Portugal ran on renewables alone for four days straight, Germany was almost entirely powered by solar and wind on May 8, and Britain was powered without coal or about a third of the time between May 9 and 15 for the first time in 130 years. The March for a Clean Energy Revolution happens on Sunday, July 24 in Philadelphia, home of the Declaration of Independence and the U.S. Constitution, on the eve of the Democratic National Convention. 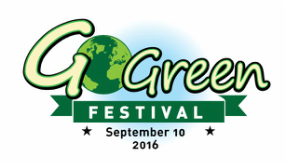 The theme is to declare our independence from fossil fuels so we can be free to enjoy a healthy planet and healthy communities! Come join the march! MOB will have a bus leaving the Butler area early on the 24th for Philadelphia. If you are interested in riding the Butler bus to the march, get details here.